Tampa International’s (TPA) Airsides E and A got new concession concepts last week. Starbucks opened in Airside E, while CNBC News and Ducky’s – a sports lounge that is partially owned by Tampa Bay Rays player Evan Longoria – began operating in Airside A.
CNBC News, which is operated by Paradies Lagardère, is the first news convenience store to open as part of the new concessions program at TPA. Paradies partnered with local bakery, Alessi Bakeries, to offer grab-and-go food items for travelers. “CNBC is an iconic, internationally known brand that will resonate with travelers visiting the airport,” said Gregg Paradies, president and CEO at Paradies Lagardère. 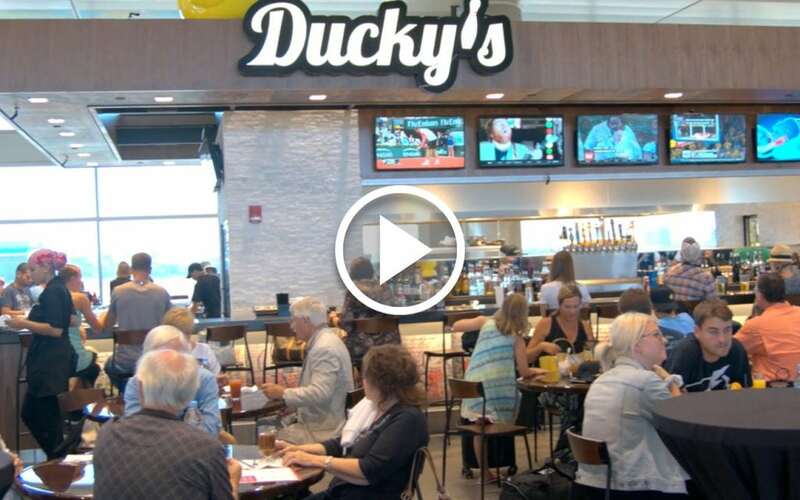 Just across from the CNBC store, Ducky’s will offer a place where passengers can eat, drink and charge their electronic devices while they wait for their flights. The Starbucks in Airside E is the second of five that will open at TPA. HMSHost Corp will operate all of the locations.